This entry is dedicated to our dear dog, Bon Bon. 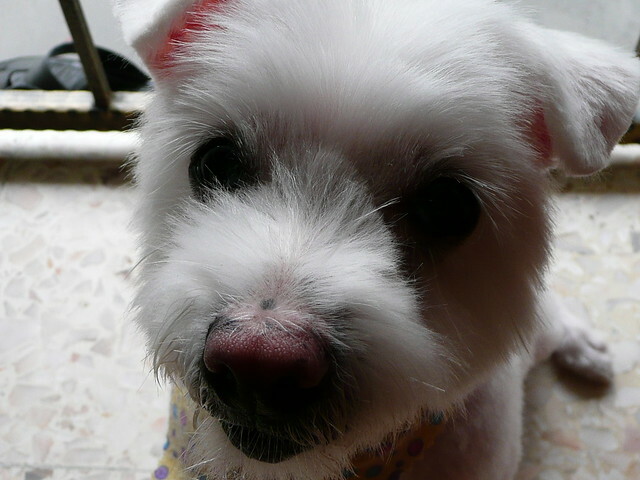 She was a white female maltese, almost 12 years of age, extremely clever with exceptional character. She was only 2 weeks old when she became part of our family. Grandma never failed to be delighted when she performed her little acrobatic act of standing on her two hind legs. She was a beautiful girl who never had the problem of tear stains. She was a shy girl. She was a homely girl who enjoys it best when she's in the comfort of our home. Thank you for giving us so much joy throughout these 12 years. It wouldn't have been the same without you and we couldn't imagine having any other dogs. Bon Bon, you were a really good girl!